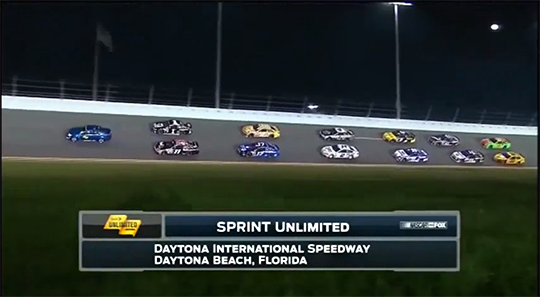 As Fox Sports heads to Florida for the Daytona 500 viewers will notice a bit of a change in the graphics department. 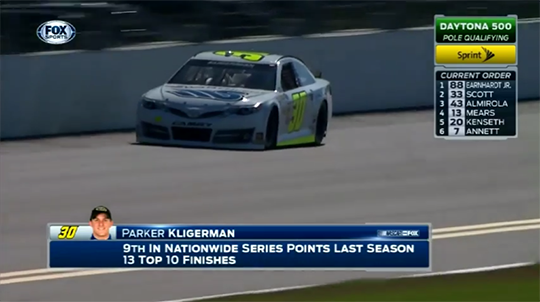 Fox has debuted a new graphics package that will likely be used on all of its sports properties. The new package features a sleek translucent look with a boxy appearance, dropping the curves of the former package (and Fox Sports logo). 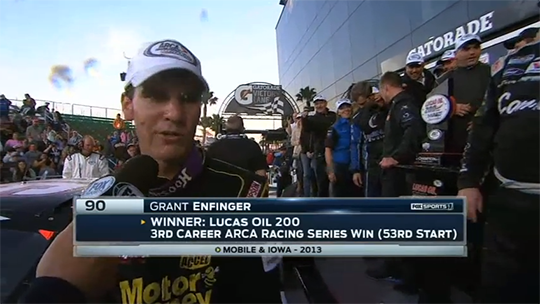 One interesting change for NASCAR, Fox Sports ditched the ticker at the top of the screen. Instead, a leaderboard was placed on the right side of the screen (using about a 1/3 of the space). Fans did not like the change, and Fox Sports is working to correct the design. “The network ditched the usual rolling leaderboard at the top of the screen for a rectangular box on the right side of the TV screen. Eric Shanks, Fox Sports chief operating officer and executive producer, says changes are coming after fans complained the new scoring screen blocked a portion of on-track action. 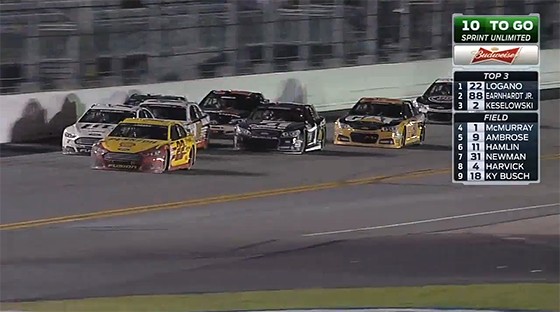 He says the network has ‘some tweaks’ that will adjust the layout for Sunday’s Daytona 500,” writes the AP.